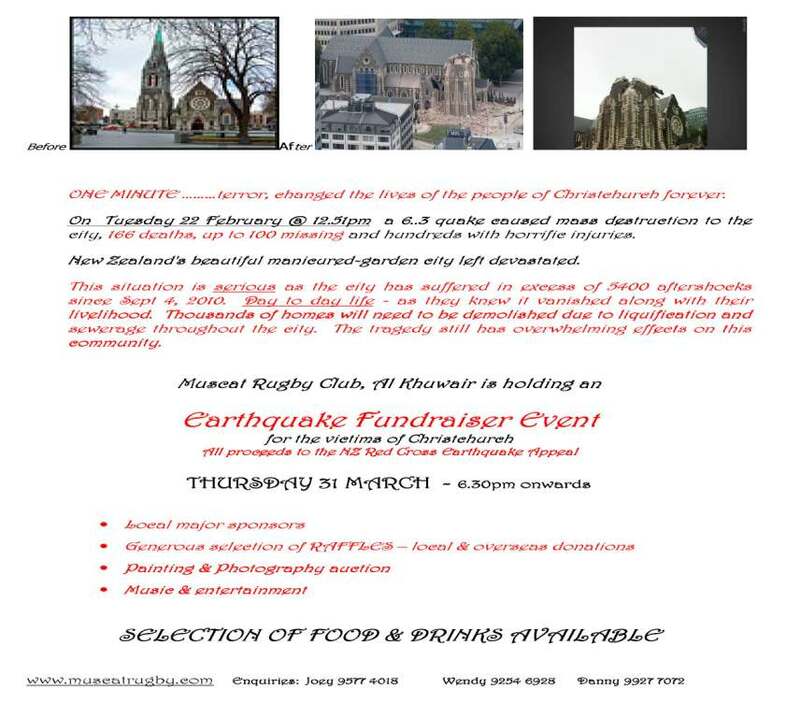 This Thursday evening, there is an earthquake fund raiser being held at the Club for the victims of Christchurch, NZ. There will be a generous selection of raffles, and a an art auction as well. Its on Thursday night so why not come on down and help support a good cause. 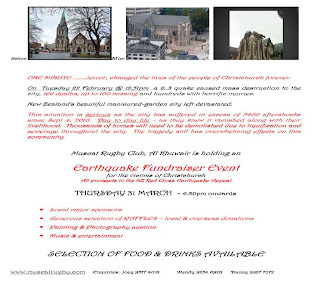 All door entry charges (RO 2 for non members) will be donated to NZ Red Cross earthquake appeal. 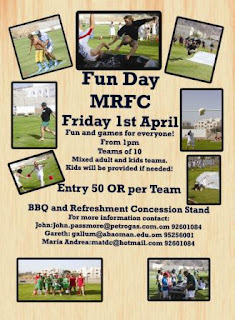 This Friday there is a family fun day being held at the Muscat Rugby Club's grounds from 1pm.